If you find any inaccuracies in the translation of terms or distortion of the meaning of the original article in some places, then write about it in the comments or directly to me in private messages. A survey conducted by Google revealed four main reasons why users hate your application. In this post we will provide you with solutions in order to turn this hate into love. Time is one of the most precious resources that we have. Most people know this, including your users. Time is so valuable that if the download time of your site takes more than 5 seconds, then you can wave 75% of your potential audience . Oh. study a few years ago during a mobile-friendly campaign that revealed the biggest disappointment of users. How can we fix this and provide the best experience to users so that they do not hate our mobile applications and sites? Well, of course, through prototyping. In this post Justinmind will separately consider these problems and find solutions that we can apply in practice to create better applications so that our users will start loving us again. Slow loading is a real bummer. Indeed, in the World Wide Web, patience is in short supply and if the page is loaded too long, it can severely hurt the user experience. How many times have you closed the page because of the endless download? But the impact is not only on user experience. 44% of users are will tell their friend about the bad buying experience online if the page does not load within 3 seconds. Passion is heating up. Of course, interface designers do not have control over developer solutions or server speeds (if they could!). 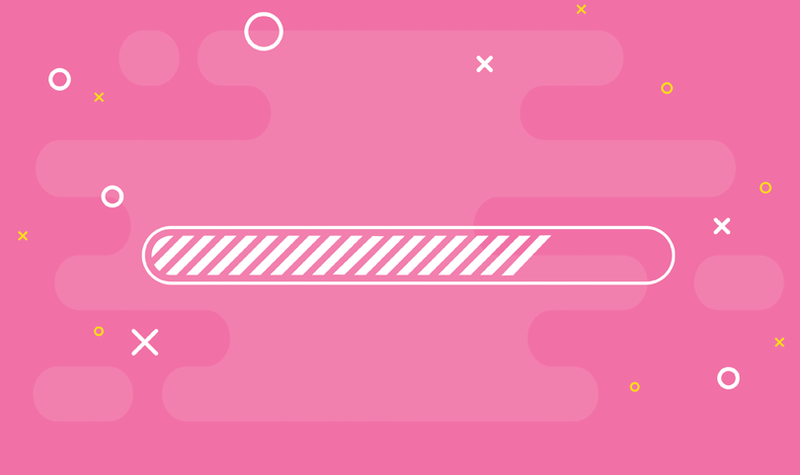 Nevertheless, there are several design tricks that we can use to reduce the degree of user's nightmare with slow downloads. Let's look at how we can turn this tense three-second expectation into something more than acceptable. Well, sometimes expectations just can not be avoided. There is no way to get around it. But, this does not mean that we can not turn the inevitable into a pleasant user experience. Implement the download indicators. They minimize the frustration of the user by providing an appropriate response to what is happening. Schneiderman, the man who created 8 gold rules for the design of user interfaces wrote that a good user experience should provide informative feedback. Users should keep everything under control and know what is happening at each moment of time - the download indicators help to achieve this. It also turns out that users prefer to have load indicators . Why? Because as people, we are motivated to have goals and then achieve these goals. Advertising - a big problem, which is not limited to UX-design. It can interfere with the user experience by creating a well of anger inside of which you can see that your users will never return to your product. Proper use of advertising requires a lot of time to fine-tune, as any advertising specialist will tell you. But it is especially difficult to correctly use it online. When it comes to developing mobile applications or websites, automatically played videos are a thing to be avoided. We mentioned the golden rules of Schneiderman, but Jacob Nielsen There are also 10 of their . The third number (Jacob Nielsen's rule No. 3) is giving the user control and freedom. There is nothing worse than to go to the site, open up to read a few links and be attacked by a team of solo noodles of various noises trying to intercept your attention from a variety of open tabs. This is the kind of uncontrolled, denying the freedom of experience that your users do not want. OK, you want to profit from these ads. They are an important part of your business strategy, which means they are also an important part of your UX strategy. To determine if the user is overburdened with your advertising, dissatisfied or disappointed with her, perform some real, combat user tests. It is a quick, cheap and effective way to get up-to-date information about how people feel and use your product. Justinmind uses a variety of cool tools for custom tests from Validately to CrazyEgg and UserZoom. Custom tests are also useful for researching other design directions. Once you have identified the ideal component for an excellent advertising experience, why not test it for other elements of your models and prototypes? A picture can be more valuable than a thousand words, but the video can be, well, more valuable. Video can be compressed to deliver information in a way that words can not. The visual component of the video increases the user's involvement and, presumably by 201? the world traffic of consumer Internet video will generate 80% of all Internet traffic . In fact, YouTube reports that video consumption on mobile devices is growing by 100% every year. Video is important in UX-design. With the help of video you can really show experience or share emotions. But, while the video is a great tool for interaction, they can also be heavy in size and take up a lot of space on the screen. First, turn off automatic playback on all your videos. It brings a repetition that users hate. Secondly, you can easily integrate your video and audio files into your prototypes in Justinmind. With our HTML widget, you can drag it onto the user interface and take a link (or any other video hosting site you need) to a link and copy it to the widget's Properties tab and you're done. It's so simple. By embedding and modeling your prototype, you can make sure that everything works as it should, preventing the scenario of an unplayable video that many users despise. Sometimes your users find themselves somewhere where they do not want to be or even they should not be there. This could result in a redirect to the home page, which frustrates 13% of respondents, according to a Google poll. The bug-404 page with a good design is an opportunity to increase the usability, direct users to more relevant parts of your site and support a more unobstructed user experience. Being an attacked page-bug-404 is a terrible thing for surfing users. Shock and trembling can be a very extreme way of explaining this, but error page 404 causes the user to stop doing what they did. This is an unexpected failure. Let's turn this unexpected failure into a stellar hour for a powerful UX design. 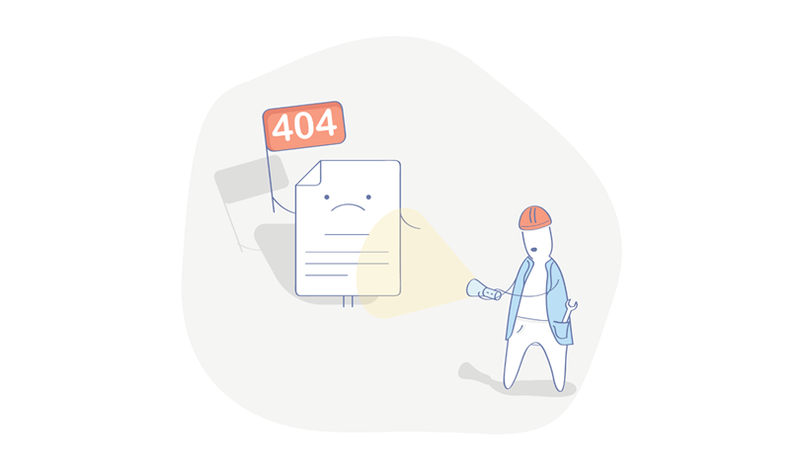 Your page with the 404th error should have an elementary structure - notification that the page does not exist, a search box, a link to the site map of the web resource and a link to the home page. All this is easily created in the prototypes of Justinmind when using the widget libraries we have created. Just drag and drop special elements onto your canvas and everything is ready. You may want to create more than one page with errors and this is the moment when you need the power of templates. This will save you from any unnecessary re-work and will give you the same structure again and again. UX-design is like a never-ending battle. The more we refine and create cool user experiences, the more we find things that are angering our users. Regardless of whether there is a perfect user experience, one thing is certain: with these four tips you will be much closer to your users who will stay with you instead of leaving you. 07/05/2018 Why do we love Telegram?